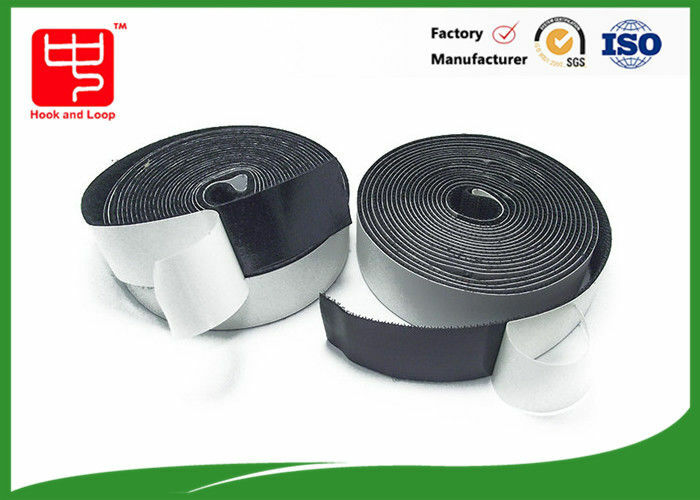 Adhesive hook and loop, is based on the common hook and loop tape, applying suitable glue on the back of both hook and loop through high temperature hot melt adhesive machine.And then paste the oily layer of release paper. This is the finished product--adhesive hook and loop. This adhesive hook and loop also can be cut to shape. Square, rounded, or heart shape are available. ● Heavy duty, and it is very convenient to use. ● Eco-friendly , All products passed ROHS & SGS : free of AZO and free of Hazardous Substances . In line with the European environmental protection standards . 1.strong adhesive.The product is kind of a viscous product.you can paste it basically all products and daily necessities. It's the best choice using in the daily life. Once it stick something,unless with great effort, generally do not fall off. conveniences.You can paste a lot of stuff. It's convenient to use. easy transportation. Protection.Hook and loop, which is soft.If there's any impact in transportation. Ir can play a role of a buffer force to the unload. Widely used in home, paper packaging, stationery, electronics, luggage, and other industries. 5~10 working days. It also depends on your quantity. If you have a big order. There must cost more time to manufacturing.